Congestion is growing on city roads — not just in South Africa but in many of the continent’s rapidly expanding cities. But the problem represents a massive opportunity for mobility startups. In February a report by global software company Inrix revealed that Cape Town has the worst congestion in South Africa and ranked it at 28th in the world. It is followed by Pretoria at 54th and Johannesburg at 82nd. Yet by all accounts startups are getting stuck in. 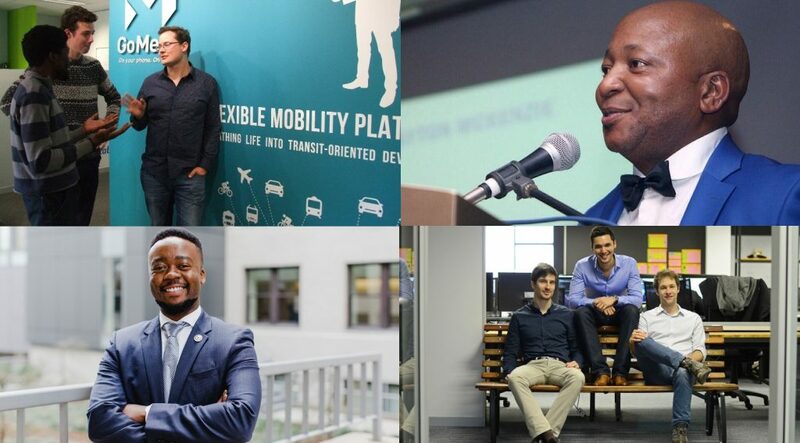 Here then are six SA mobility startups to keep an eye on. Mobility data startup WhereIsMyTransport collects and provides access to public transport data, in addition to journey planning. In January the startup secured a $1.85-million investment as part of of its Series-A round in a deal led by Mexico City-based corporate venture capital fund LiiL Ventures (see this story). The company was started by Chris King and Devin de Vries (the two are pictured above, on right and centre, respectively, with Dave New who joined as founder subsequently) in 2008 in Cape Town. The company relaunched in 2015 after opening an office in London. The firm claims it currently collects data from more than 30 major cities on its open integrated mobility data platform. It is now seeking to expand to India, South East Asia and Latin America, having carried out data collection on the public transport system of Mexico’s capital, Mexico City, last year. The company made headlines at the beginning of 2018 in Ventureburn after a round of retrenchments and negative comments by former employees on Glassdoor.com suggesting that the company is in trouble (see this story). But at the time investors said they were happy with the progress the company was making. De Vries also said at the time that the company was looking to hire more people, with five or six new positions are on offer at the time. 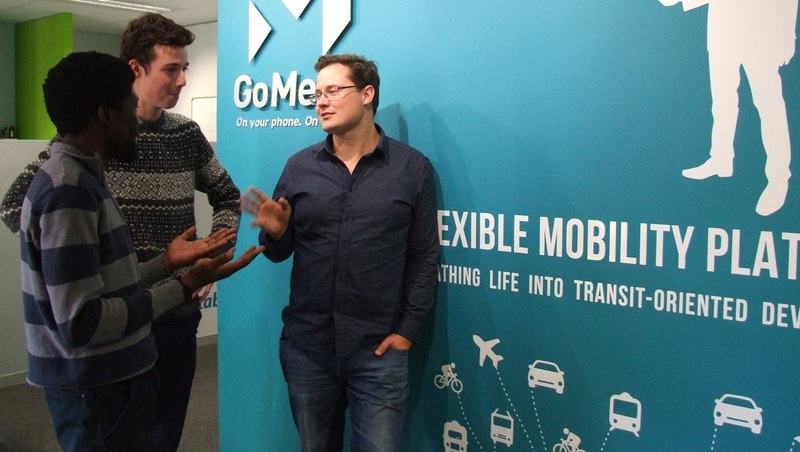 Cape Town mobility startup GoMetro last year launched a new self-service application for transport planners (www.get.gometro.com) to better map and plan transport routes (see this story). The startup will partner with Italian company GMG Technology to help distribute the app in foreign markets. 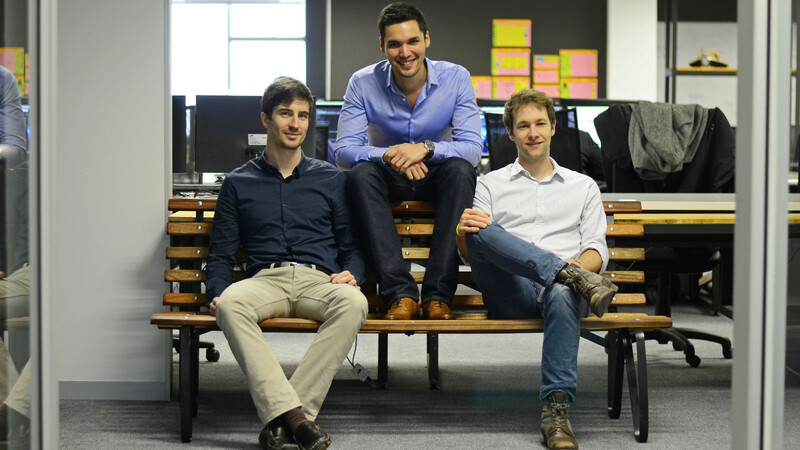 At the time the startup’s CEO and founder Justin Coetzee (pictured above, right with fellow team members) called the new business intelligence and planning platform that his team has spent two years working on “like Strava, but for public transport”. The platform links to a data manager and planning tool that produces maps and graphs in real time from data collected via a smartphone app. Transport planners and software developers can use the service to track any form of transport — from walking to minibus taxis and buses, he said. The startup, which is a participant in Wayra’s Intelligent Mobility (IM) Accelerator, last year also launched a pilot of its door-to-door ride-sharing service Flx. The service aims to to offer employers a chance to get staff to work on time more affordably, by providing them with various shared transport options and by grouping staff members who stay near to one another to allow them to take the same ride. 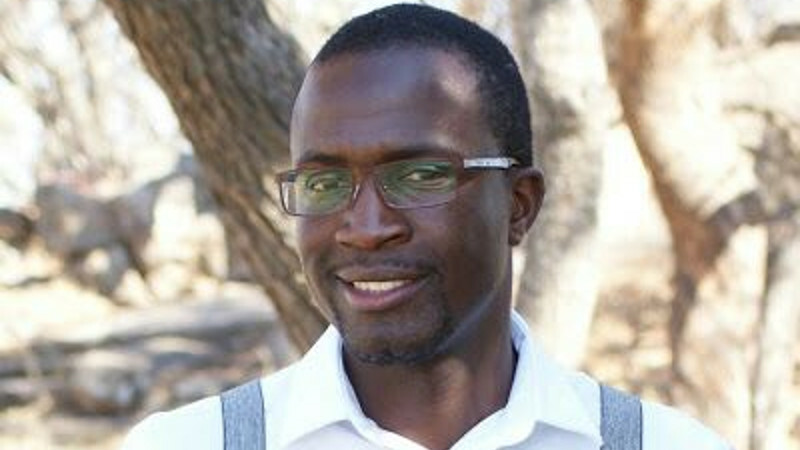 Cape Town based startup Lüla was founded by CEO Velani Mboweni (pictured above) and Xabiso Nodada. The startup’s app (its name means “easy” in isiZulu) connects corporate commuters to private shuttles. In February the startup launched a bid to raise R2.5-million from investors through local equity crowdfunding platform Uprise.Africa by end of May (see this story). The startup has so far raised R299 000, with just over a month and a half left in which to meet the R2.5-million target. Mboweni in March did not want to reveal to Ventureburn what kind of vehicles its crowd-sourced shuttles are, only that it targets corporate commuters with over 50 employees across Cape Town (see this story). The startup crowdsources private shuttles that can offer scheduled door-to-door rides which picks up commuters from their home to work and back. The company has over 100 drivers on its books and as of last month had 11 businesses from Cape Town signed up with it. While some signups have come from Joburg, Mboweni said the startup is not yet servicing the city as it is focusing on Cape Town to begin with. Mboweni, who is the nephew of Finance Minister Tito Mboweni, would not be drawn to comment on whether having a high-profile family member has helped his startup gain traction or not. Cape Town based carpooling platform Jumpin Rides in July last year announced that it had raised R1.8-million from undisclosed local and international angel investors. The startup’s founder Pauline du Paty (pictured above) told Ventureburn this week that the company now has about 12 000 users on its platform. She added that the startup is looking to raise more funding this year to cover marketing and other costs. 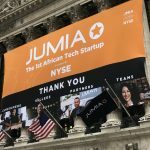 When Du Paty launched the startup in 2016 with Antoine Paillusseau and Romain Diaz, Jumpin Rides raised an undisclosed amount from Cape Town-based accelerator Far Ventures. 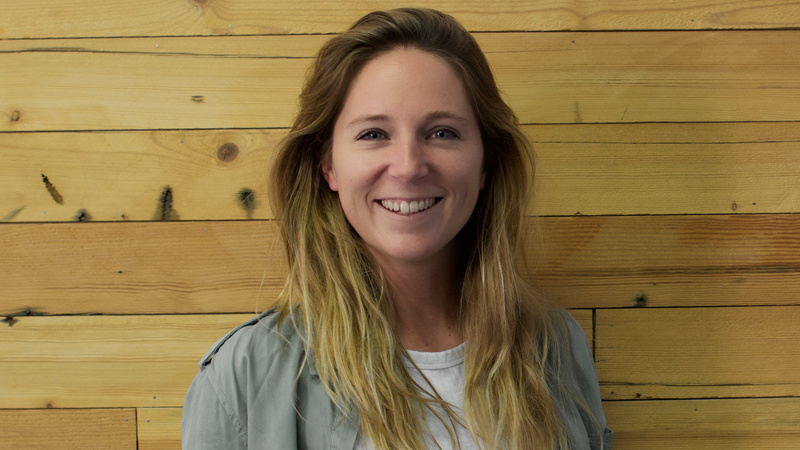 Paty’s startup — which is targeting both long and short distance commuters in Cape Town and Johannesburg — aims to connect drivers who have empty seats in their cars with passengers who are willing to contribute towards petrol costs. The pre-revenue startup makes money from charging an undisclosed booking fee to users. The startup ensures the safety of its riders through a verification process which checks user profiles enabling both drivers and riders to know who they are travelling with. 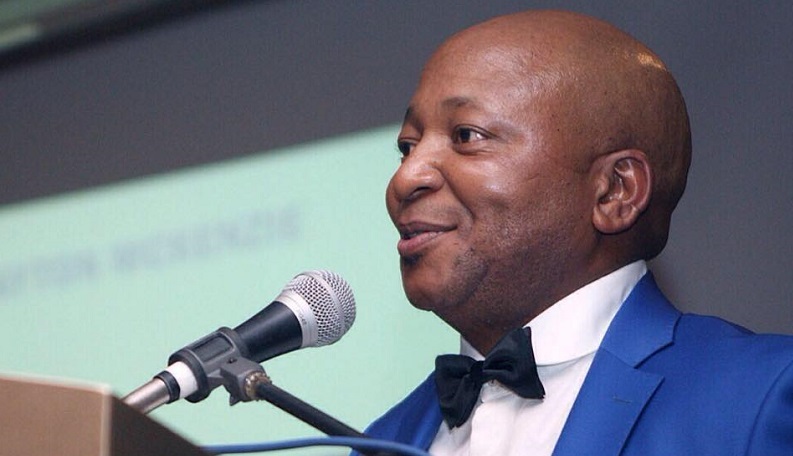 Earlier this month SA businessman and former “Sushi King” Kenny Kunene said he remains confident in a ride-hailing startup he’s invested in, despite it emerging that the company’s founder is embroiled in a legal dispute which involves a kidnapping and theft of the company’s intellectual property (IP) (see this story). Kunene announced last month that he had invested an undisclosed amount in Johannesburg based Yookoo Ride, a firm that was founded in 2017 by Temesgen Tesfay. The Ethiopian claims he’s netted R20-million from investors so far. Tesfay told Ventureburn that Kunene does not have a stake in his startup, and that he and the businessman were still “negotiating” for him to invest in the company. However, while he said Kunene has provided “small amounts” in investment up till now, when contacted Kunene insisted he had a stake in the ride-hailing startup. Asked about how many drivers the startup had signed up, Kunene said he was not able to say how many were on the books, “as new drivers are signing up everyday”. He then said he could provide the figures later at the end of the day, but then, when pressed to reveal the number he said he was “not comfortable giving these figures to the media”. Malvin Nkomo might be crazy to go up against ride-sharing giants Uber and Bolt (formerly Taxify). But the Joburg entrepreneur says he’s confident he has a plan to undercut the mobility juggernauts — through a competitive pricing and commission structure, security and safety features and the advantage of being a local brand (see this story). 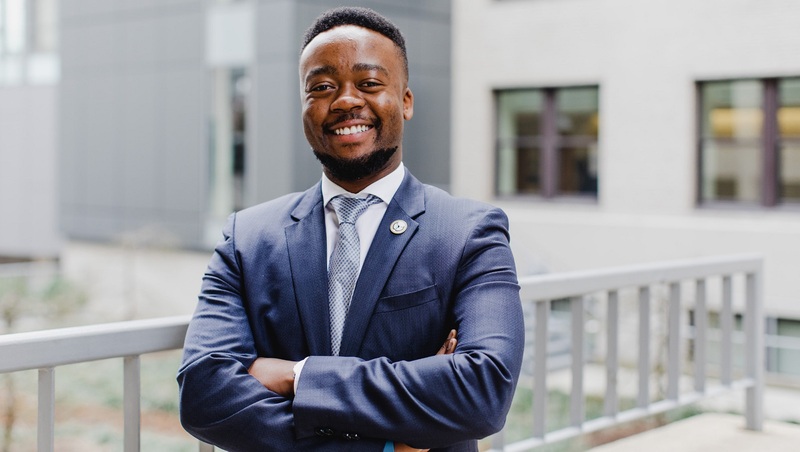 Nkomo, who is originally from Zimbabwe, runs Joburg-based ride hailing startup Hailer which he founded in 2016. This week Nkomo told Ventureburn that he was “in the process of negotiations on two funding instruments that might materialise in the next few months”. He could not disclose who he was in negotiations with. The startup has 14 employees and operates in Johannesburg, Pretoria and Kimberley and Nkomo said he hasn’t added more cities because the company is working on a second version of the platform that has enhancements that will allow the firm to scale. So far, the company has signed up over 200 drivers and completed over 500 trips. A further over 3000 trip requests weren’t completed because of what Nkomo said is the startup’s “rather longer” delivery time compared to our competitors who have a bigger supply of drivers and less delivery times. Said Nkomo: “There is a demand on the client side but our driver supply side is not yet giving us good coverage across the cities. Our focus is growing both the driver side and the client side”.